As technabob said, I don't think this would necessarily pass as formal wear, but who cares? 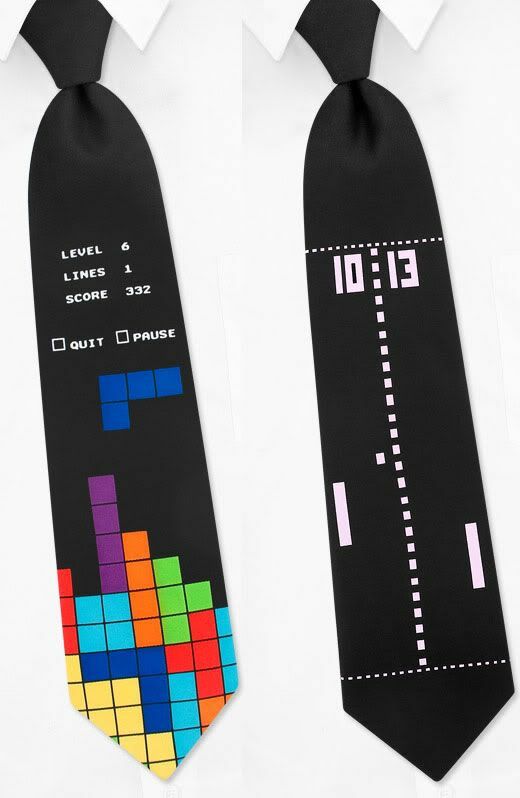 The other 2 ties can be found on his post about 8-bit video game neckties. Christmas is right around the corner, so if you know a geeky dad or brother, these might be just the quirky gift you're looking for. After reading your first two post i decided to check out some other post because your every have some interesting stuff. Like this. First tie seems game of tatriss and other like highway.